After completing an Ice Cream 101 course at Penn State University - the same starting point as Ben and Jerry – Daniela decided Regina was a great fit. 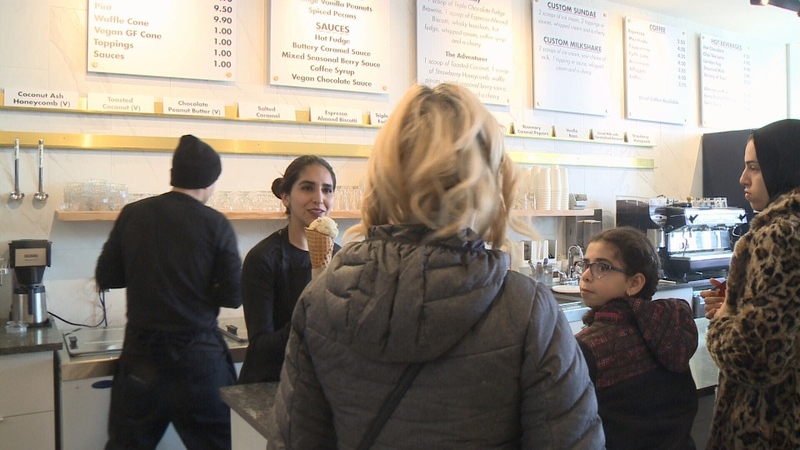 Co-owner Daniela Mintenko hands a customer their ice cream during the grand opening of Dandy's Artisan Ice Cream in south Regina on Saturday. 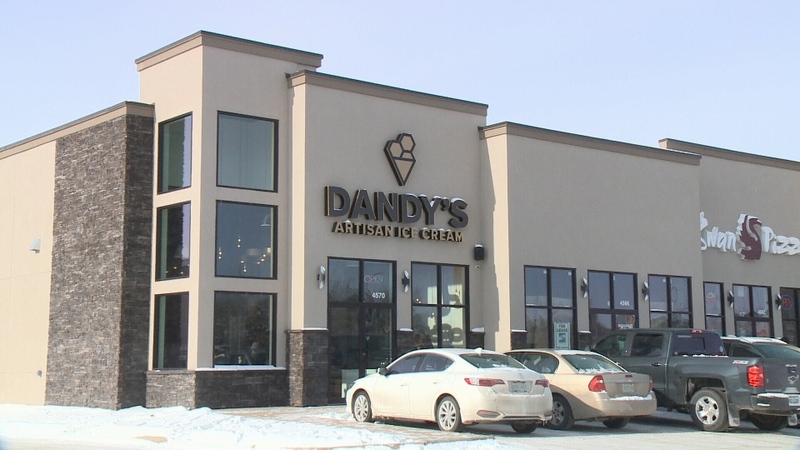 The owners of Regina's newest ice cream shop say it wasn't the original plan to open in the middle of winter. 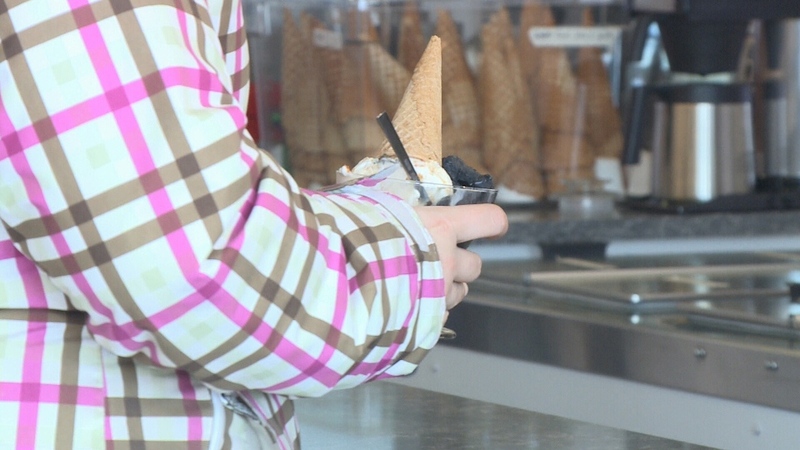 A bundled up customer holds their cold ice cream treat at the grand opening of Dandy's Artisan Ice Cream in Regina on Saturday.